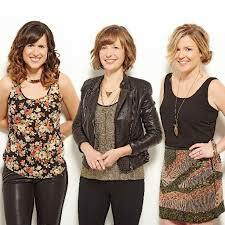 The tag of Juno nominated artist let alone winning one in the Roots and Traditional category is a staple symbol for guaranteed high quality and Canadian band Good Lovelies securely match up to this broad statement. The industry success may have been half a decade ago, but, whether in the studio or perhaps their spiritual home on the road, the trio of Kerri Ough, Caroline Brooks and Sue Passmore never to fail to deliver in sublime proportion. 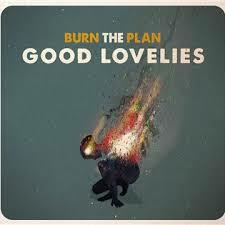 The title of their new album BURN THE PLAN suggests a somewhat maverick approach to making music, but the delightful product on offer confirms the ladies are right on the mark with a record firmly in the exceptional camp. The four year wait between studio albums has hardly been a void for the band with countless tours, shows and an enterprising live record to keep fans happy. Maybe it was time to freshen up the songbook and the band have taken a further stride forward by digging a little deeper into their artistry to propel a revolving sound branching out from a solid core. The folk and roots centrepiece of the band will always steadfastly remain and while there is certainly a mini stroll in an electro pop direction alongside a faint hint of alt-country, the spine of the record is a combination of beautiful harmonies and genuine instrumentation. This moving escalator of musical evolution continues to house the pristine vocal interchange that sees each group member seamlessly rotate the lead and throw a song writing inspiration into the bubbling cauldron of a Good Lovelies album recording project. The finished article is a magnum of glorious collaboration finely seasoned with minimal detection of the individual coming to the fore. The warmth radiating from any Good Lovelies record is a glowing sensation and BURN THE PLAN has the thermostat at its optimum setting. Song wise, the album surprises straight from the opening bars of ‘In the Morning’ with a bout of an unexpected electro beat before the luxurious vocals kick in to reassure that you are still in Good Lovelies territory. ‘Waiting for You’ and to a lesser extent ‘Broken Hearted’ are almost soft rock like in their structure and melody with a tip to some aspects of alt-country. The capable hands of producer Les Cooper has stretched the talents of each band member and hired session musician involved, to mould an album mildly eclectic in its studio format, yet formed by a string of songs capable of excelling in the minimalistic format of a Good Lovelies live show. Ultimately the album settles into lo-fi mode ably led by the delicious lullaby tendencies of ‘Last Night’, the mesmeric steel-infested vibes of ‘Slow Road’ and the memorable atmospheric elegance of the stand out track ‘When the City Settles Down’. Talking about the subtle insertion of some delectable twang, it was little surprise to see the lap steel maestro Christine Bougie involved as she is fast becoming a ‘go to’ player in Canadian and, increasingly Nashville circles via her continued association with Gretchen Peters. A familiar roots feel seeps out of the impressive track ‘Old Fashioned Love’ beautifully sung by Sue, while Kerri audibly moves you when tackling the intense sentiment wrapped within ‘Four O’ Clock’ . Not to leave Caroline out of the vocal recognition stakes, ‘Don’t Hold Back’ oozes with class and is a symbolic Good Lovelies trademark sound. Hasten to add the Good Lovelies is not a focal point band and is about as egalitarian as you get in its constitution. All thirteen tracks including the touch of brass to decorate ‘Into the Dark’ which incidentally contains the line lifted for the album title, play a significant part in making the record a worthy listen. Like that perfect cup of coffee, the Good Lovelies are free of needless saccharine and unwanted froth,with suitable strength to ensure their music lingers long after the play. BURN THE PLAN shows the band firmly in control with Kerri Ough, Sue Passmore and Caroline Brooks still proving to be that magical ingredient responsible for making beautiful music destined to continually nudge the award giving bodies.